Have you overlooked email marketing? If you are aggressive in acquiring leads and running email campaigns, that's good! You can now skip this article. Otherwise, we hope this will serve as a wake-up call for you and your business! If you are aggressive in acquiring leads and running email campaigns, that's good! You can now skip this article (but stay tuned to our next one, as we will be comparing email platforms). Otherwise, we hope this will serve as a wake-up call for you and your business! Many are paying attention to digital marketing nowadays, which is a good thing. But when you talk to people on digital marketing, most will just associate it to Google, Facebook, Instagram, LINE etc. Besides those big e-commerce operators, it seems that not many are obsessed with email marketing in this part of the world. Read also: Which e-commerce site in Malaysia is the most aggressive in email marketing? Allow us to focus on retail and e-commerce operators here, as these are the people who we meet most often besides being more B2C-driven. While e-commerce operators are generally more savvy, not many retailers here excel in email marketing. Some of them are not even doing it at all. This doesn't seem right, as there are not many other medium you could use for CRM besides the traditional mailers. To repeatedly engage your customers or members in digital or mobile age, there are only 3 medium namely social media channel, SMS (yes, it works for CRM) and what else? Email. Don't bet on your social media post to reach out to all your customers even if it is a sponsored post, SMS has limitation on text length so email is your best bet to directly reach and engage with your customers. Whether you like it or not, everyone will still use email for a foreseeable future. Perhaps if messaging app like WhatsApp, LINE, WeChat open up their API in the future, we could see this as another medium for CRM. Yes, many would assume that email marketing is just all about composing the email and clicking the schedule / send button. You can do more than this. 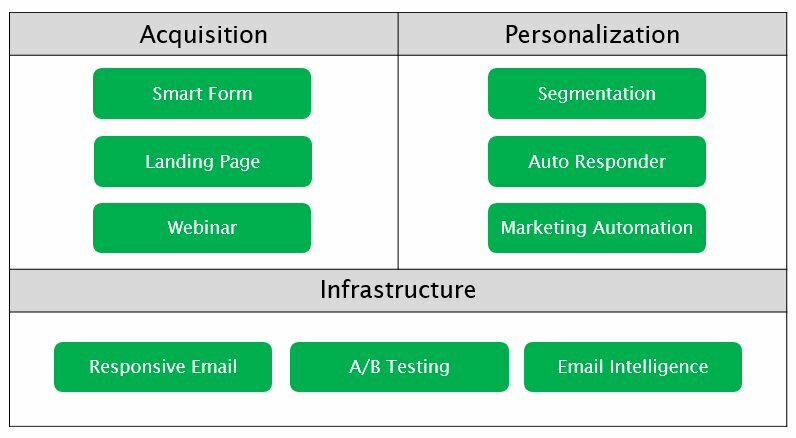 For us, 3 major components of email marketing are acquisition, personalization and infrastructure. First of all, you need to acquire leads and progressively increase your email database a.k.a. list size. You can implement smart form (pop-up layer), landing page or even webinar to acquire more prospects. We will come back to leads acquisition after this. Secondly, you might consider not to send one-size-fit-all kind of emails all the time. Segmentation, auto responders and marketing automation will enable you to send personalized emails by configuring a set of rules or workflows. Last but not least, email marketing platform like GetResponse enable you to do all the above, besides the basic needs of composing beautifully crafted responsive email, A/B testing, email reports etc. 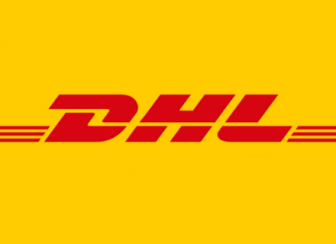 Not to miss out high delivery rates here. Back to leads acquisition, it is not rocket science that the more emails you have in your database, the more results you would achieve in email marketing. So, make it as your pilgrim to keep increasing your email list size. Of course, leads quality is crucial as you should focus on those who might become your customers one day, or those who are already your customers. Retailers are generally still comfortable with loyalty card kind of membership. While we understand this is a loyalty program plus one of their revenue streams (usually you need to pay for the member card), what about the other half who are not your customers yet? Just an idea here, how about try converting footfall to your prospects? Websites can implement smart forms so can retail store, perhaps with tablets, or even kiosk. What about the carrot? Think of something to reward or entice walk-ins to give up their email addresses to you. Loyalty membership should be digitized too, it is common to hear from retailers that "We have 100,000 members, but only 50% of them we have their emails". While older generations might not use email, effort should be made to capture both email and mobile number. Yes, name, mobile number, email should be mandatory before anything else. #1. For e-commerce operators, you invest into acquiring new customers but are you doing enough to boost repeat purchases? #2. For retailers, loyalty program might be in place but how do you communicate effectively with your existing customers? #3. For every business, it is always good to segment into your prospects and customers, then run personalized email campaigns. #4. No matter which industry you are in, increasing prospects (leads acquisition) is crucial to progressively grow your business. #5. Invest on comprehensive email marketing platforms like GetResponse (try for free here) and email campaign development, it is worth the ROI if being done right. Tips: If you have more than 100,000 subscribers, please contact us as enterprise plan might suits you better costing and features wise. 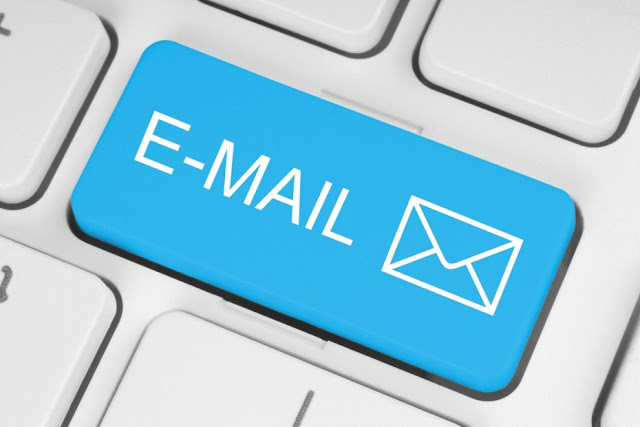 ecInsider: Have you overlooked email marketing?